A khetme ritual conducted by a group of pious village women led by a qushnach: a village ritual specialist who deal with funerals and sickness. The bulk of this khetme ritual is devoted to the repeated recitation of short Arabic prayers. The hikmat is recited at the end of the ritual, and serves to provide the participants with emotional and spiritual resolution. Translated by Rachel Harris and Aziz Isa. Kelgen olum emesmu, amin Death will come, will it not? Kelgen olum emesmu, Amin … Death will come, will it not? The reference in this sung text to Qul Khoj’Ahmed is to the celebrated 12th century Central Asian saint, Khoja Ahmad Yasawi, popularly known as a Sufi shaykh, founder of the Yasawi order, and a mystic poet, author of the Diwan-i Hikmat. Yasawi’s shrine lies in the town now known as Turkestan in southern Kazakhstan; an important religious centre and pilgrimage site since the 14th century when this huge mausoleum was built on the orders of Timur. The Yasawi as an organised Sufi order has not survived to the present day, but it has had far-reaching influence in the realm of popular religious practice across Central Asia, including contemporary Xinjiang. Its influence includes styles of zikr, aspects of shrine veneration, forms of social organisation, and the tradition of reciting Turkic language hikmat. The Divan-i Hikmat are manuscript collections of Turkic language Sufi mystic poetry, which have circulated in multiple forms from Turkey to Xinjiang. The oldest manuscript dates to the 17th century. Different versions may vary quite considerably, in terms of content, number of poems, and in wording and style. Larger collections contain over 100 hikmat. They are identified with Yasawi through the inclusion of his name within the poem, in the manner of Central Asian poetry, appearing in different forms, primarily Kul Khoj’ Ahmad (Ahmad, servant of God). They recount in formulaic fashion the life of Yasawi, listing his spiritual achievements year by year until the age of 63 (the age of the Prophet at death) after which he retires to a hermit existence in a cave. According to legend he lived on to the age of 125. In popular belief, and in much of the scholarship up to the late 20th century, it was uncritically assumed that the Diwan was actually written by Yasawi. But there are many anachronisms in terms of content (such as references to Yasawi’s tomb) and poetic language and style (such as the extensive inclusion of Persian vocabulary within the Turkic) and the late date of surviving manuscripts, which all suggest that the Diwan-i Hikmat is a compilation of poetry post-dating Yasawi, and probably composed by multiple authors over a substantial period of time. The hikmat tradition has been maintained in written manuscripts and in oral performance in Xinjiang to the present day. The performance of hikmat is widespread in ritual contexts in Xinjiang, and across Central Asia, and the texts can also be found in musical traditions, including the Uyghur Twelve Muqam. Manuscript versions of the Diwan also circulate; it was one of the most common written works in the region in the 19th and early 20th centuries. Unofficially published collections of hikmat still circulate underground in Uyghur bazaars, and many people, men and women, who participate in ritual gatherings keep their own notebooks of hikmat. “I learned hikmat from my mother. I know about 15 to 20 different hikmat. Where do they come from? Long, long ago there lived a man who wrote a book called Hikmet Sherip [?]. It was handed down from one person to another, and so it came down to us. 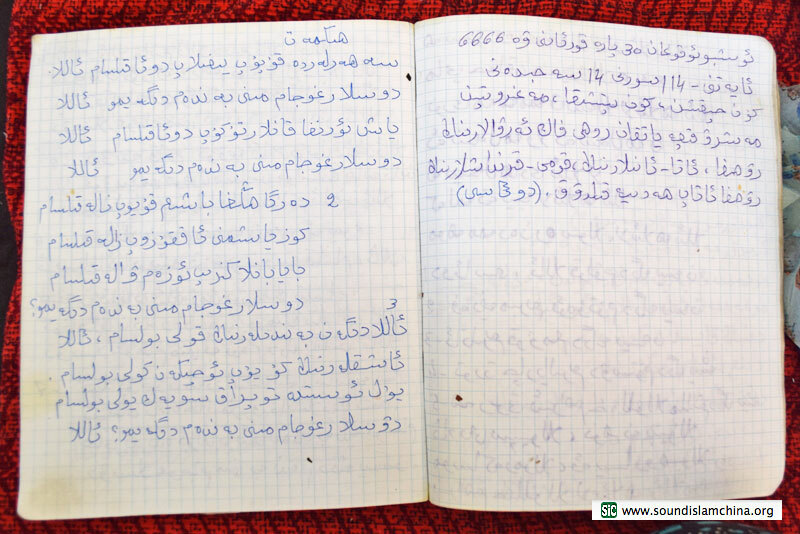 My mother had her own notebook (haterisi) that she wrote hikmat in. I used it when I learned, and I made a copy for myself. … With this book we recite in a way that other people can’t”. Print versions of the Diwan-i Hikmat circulate still more widely. Turkish scholars have shown great interest in this tradition since the early 20th century, and several versions of the Diwan-i Hikmat have been published in Turkey, part of the nationalist project to establish the cultural heritage of the ‘Turkic peoples’. Uyghur scholars have also shown interest in Yasawi’s hikmat; the first modern published version appeared in the 1980s in the pioneering journal Bulaq. But it is remarkable that all the published versions available in modern Uyghur translation are based, not on the living tradition of hikmat as it is practised among the Uyghurs, but on 19th century collections published in Turkey. Recent studies have assumed that the written tradition of hikmat is quite separate from the local traditions of oral performance. Nathan Light (2008) argues that hikmat in the Uyghur ritual context is a locally maintained, discrete tradition, taught directly by teacher to pupil in linear chains of transmission, with written texts serving primarily as personal aide-memories. It is true that the majority of recited hikmat that I have heard appear to have no direct relationship with print versions of the Diwan, although they do share many structural and stylistic aspects. But some performances suggest that something else may be going on. Audio 2: Hikmat and zikr in east Xinjiang, 2009. The text of this hikmat is a very close match with poems in the printed tradition, in particular the 1984 edition of Bulaq. The final line: ‘For this reason I hid myself from others and entered the cave’ (Ol sewebtin heqtin qorqup ghargha kirdim), is an important recurring motif in the hikmat, pointing to a key trope in the story of Yasawi’s life: his retreat from the world at the age of 63. What are the particular forms of circulation and transmission that have created this close relationship between printed texts and performed tradition? Rather than separate oral and written traditions, recordings like this suggest the existence of more diverse, complex forms of circulation, criss-crossing the oral and textual spheres, and crossing international borders. Hikmat performers are referring to published versions as well as the handwritten notebooks hikmat they directly inherit, and they are adapting the published texts to the musical framework that they have learned orally. The similarities between different strands of the hikmat tradition in terms of lyric structure mean that the published versions are easily subsumed into the oral tradition, and easily fitted to the established musical framework of the performance. 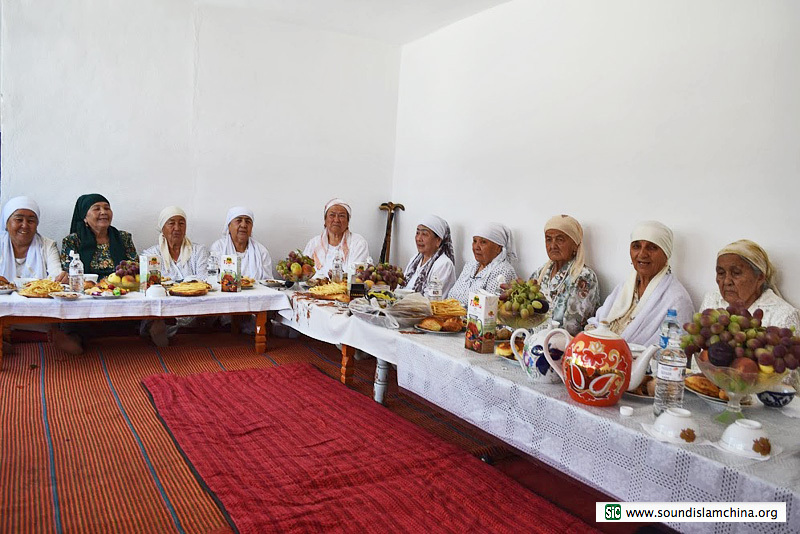 Image 3: A khetme group in Penjim village near Yarkand, eastern Kazakhstan, led by Adilem Haji. Photograph courtesy of Aziz Isa. Image 4: Adilem’s hikmat notebook. 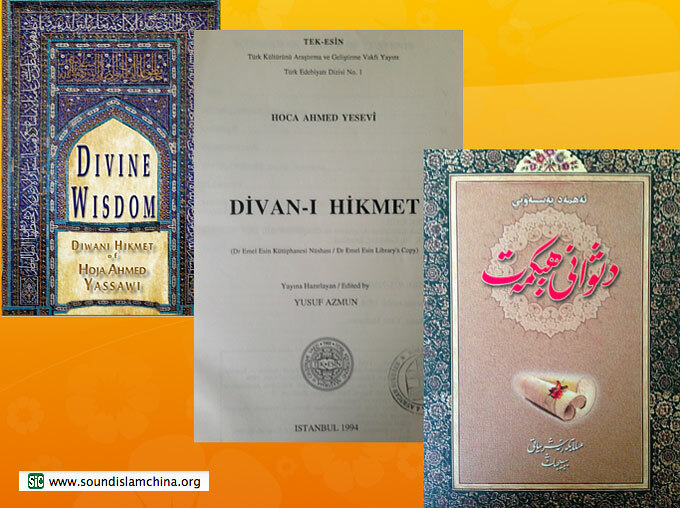 This hand-copied version of a hikmat is a close match to a 2012 modern Uyghur edition of the Diwan-i Hikmat. Adilem travels regularly across the border to her hometown of Ghulja, where she attends zikr meetings, and writes down hikmat texts to teach to her own group in Kazakhstan. The possibility of this kind of movement from published texts back into locally maintained traditions of ritual performance, suggests that we need to revise some of our assessments of the process of canonization in Uyghur literary and musical traditions. It suggests that this work of canonization, far from being a final, authoritative sealing of tradition, is in fact merely one more link in the chain of oral transmission. We should think instead about ‘feedback loops’, in which traditions of manuscript copying and oral performance intersect and feed into each other in circuits of transmission. The advent of print versions fits seamlessly into these circuits, not in any way disrupting the cycles of movement between text and performance, but instead enabling faster moving and more far flung loops of feedback, as Turkish scholars in Ankara rework manuscripts sourced in Turkestan; Uyghur scholars in Urumchi translate these texts from the 18th century Turki into modern Uyghur; and ritual specialists in Qarakhoja or Ghulja adapt these translations into a form that fits the musical structure of their performance tradition. Thus texts that are meant by nationalist scholars to ‘fix and preserve’ can in fact be revivified in the hands of performers who retain the framework of the performance tradition; revised and enriched, and set into motion a new cycle of transmission.